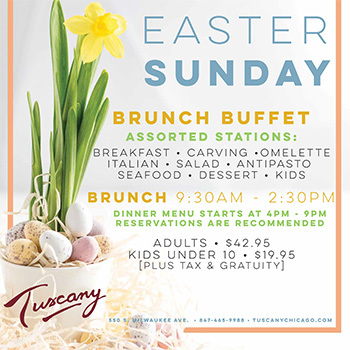 Enjoy a delicious celebrations with Tuscany Easter Sunday. Brunch buffet. Assorted stations.